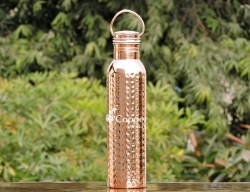 Best option to carry water while traveling. 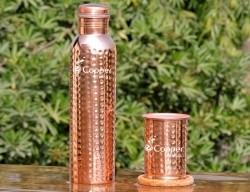 Great way to reap the benefits of copper charged water. 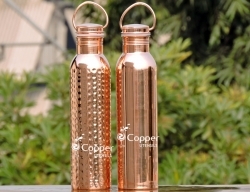 Storing water in pure copper utensils is an ancient tradition. 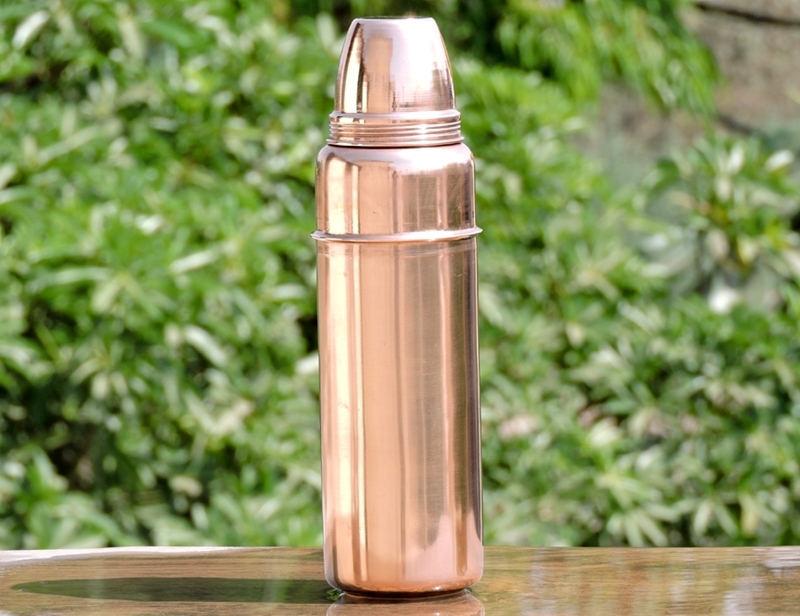 Post the invention of stainless steel the practice of using copper utensils kind of vanished. 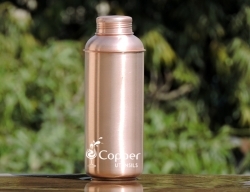 However, recent studies have suggested that copper water when consumed on a regular basis can have amazing health related benefits. 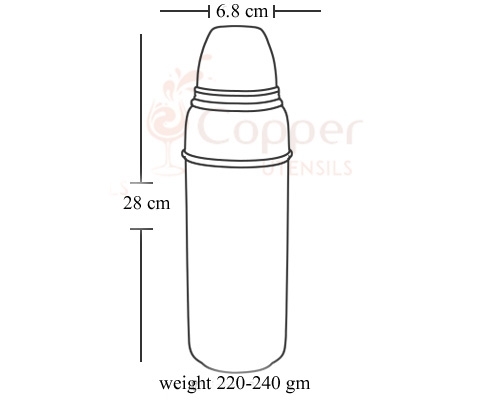 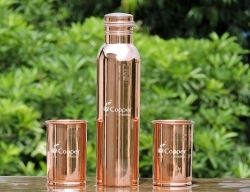 It is not known by many that copper can help in improving the purity level of water to a great extent. 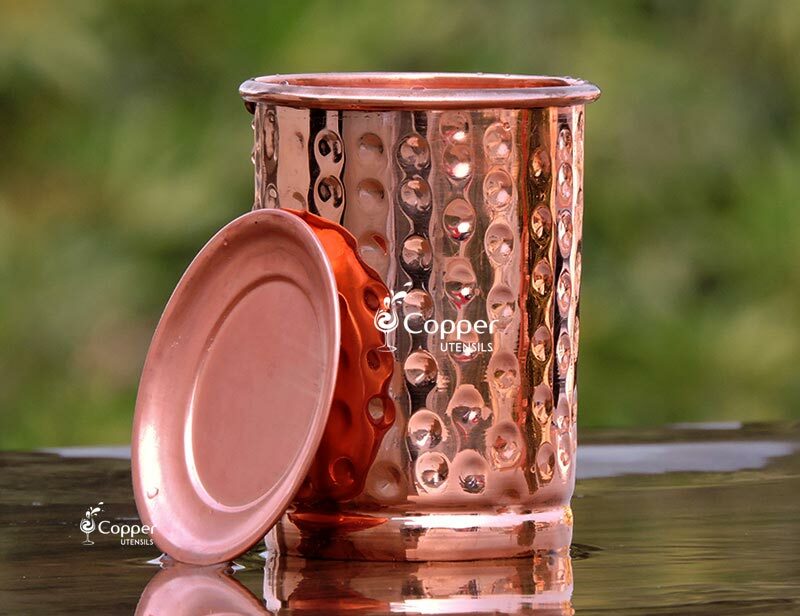 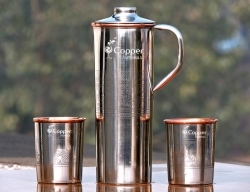 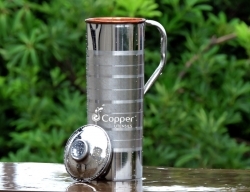 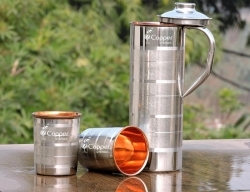 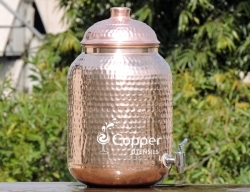 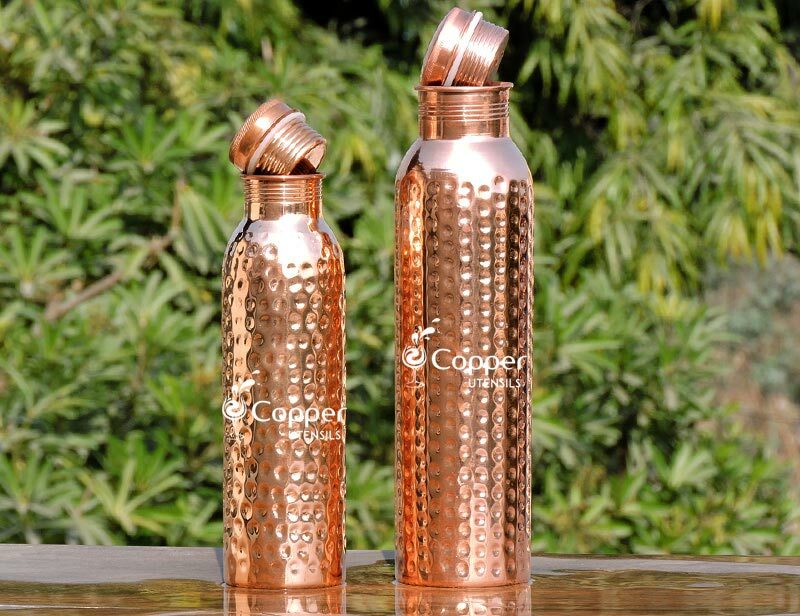 During this modern time when you can find water purifiers in almost every home, copper utensils are the simplest and probably the cheapest form of water purifiers you can find. 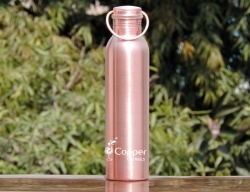 Storing water in a copper water bottle overnight can kill a majority of bacteria and microbes present in the water. 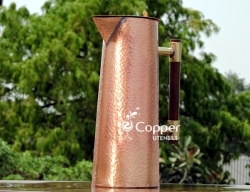 For those who are using copper utensils for the first time, the discoloration of the metal might be an issue. 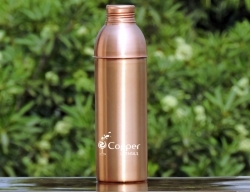 Pure copper has the tendency to darken with the passage of time. 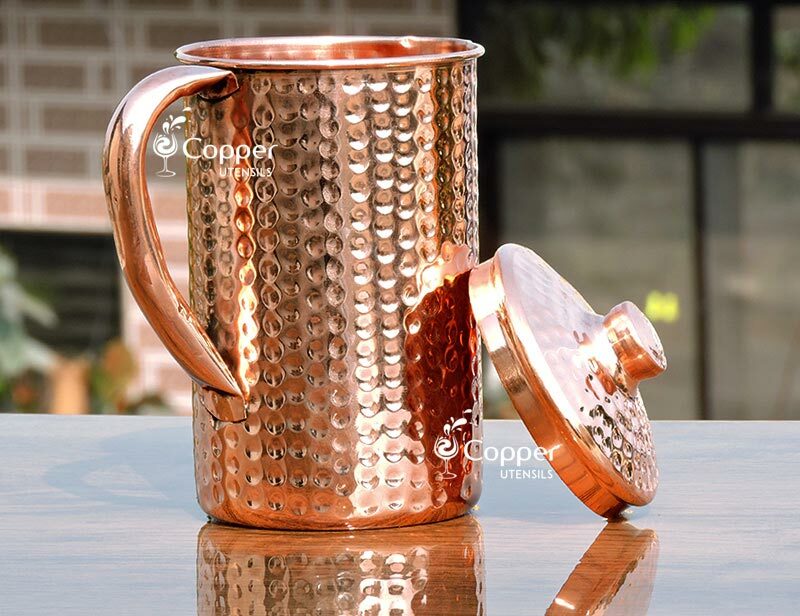 But you can easily maintain the shine and luster of the metal by washing and polishing it every other day with a solution of salt and lemon. 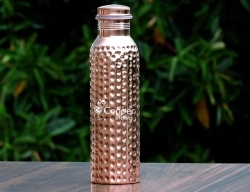 Ordered this bottle after learning about the healing properties of copper. 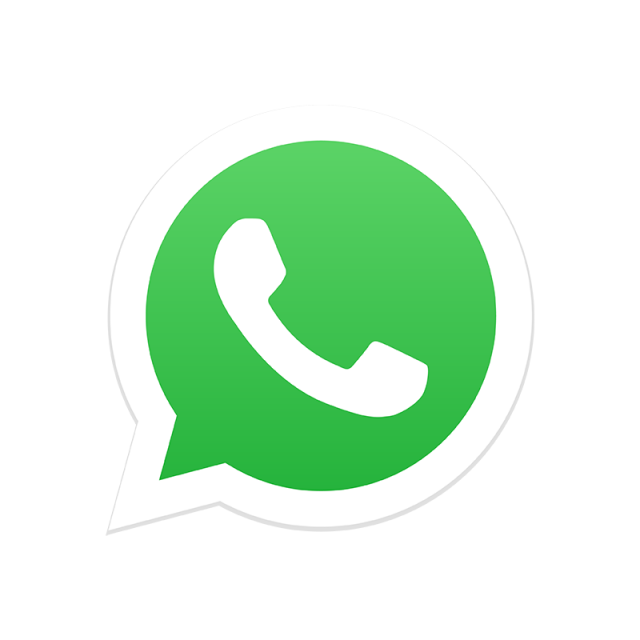 Hoping for the best results. 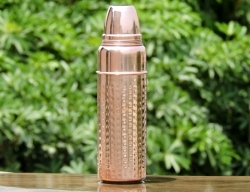 By the way, it looks very fancy. 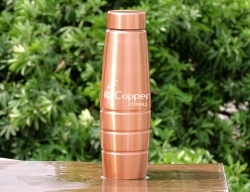 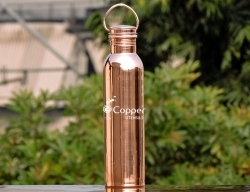 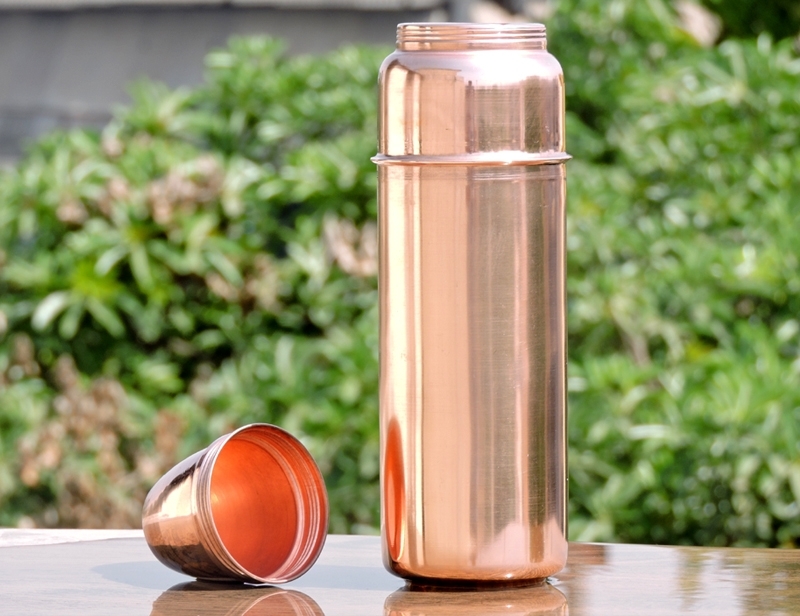 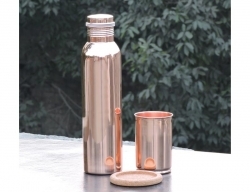 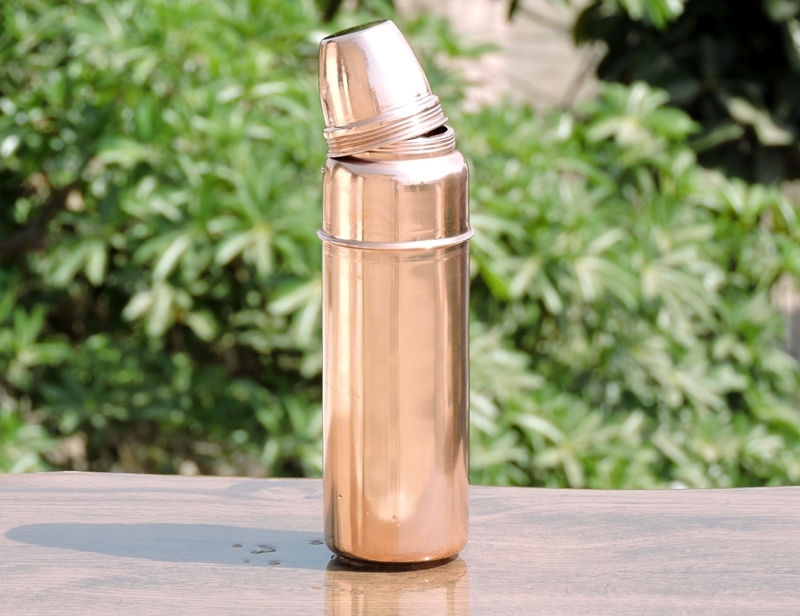 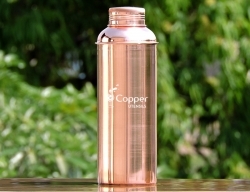 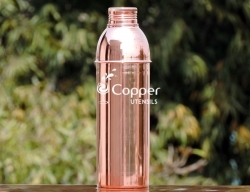 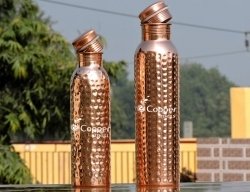 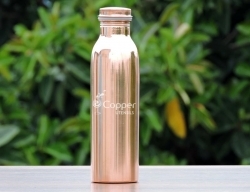 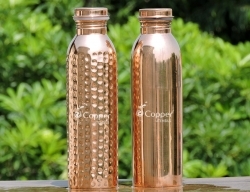 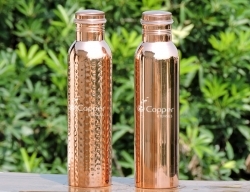 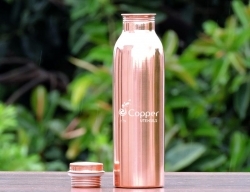 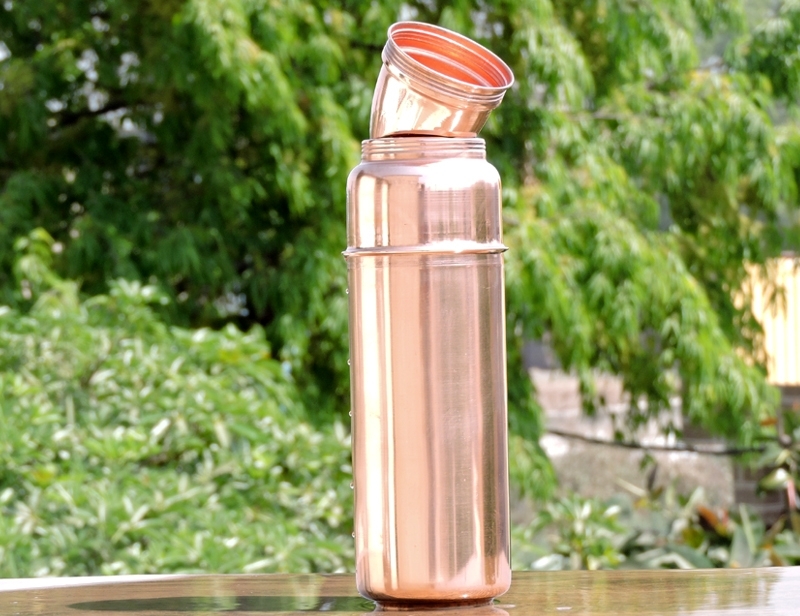 This is a 100% copper water bottle. 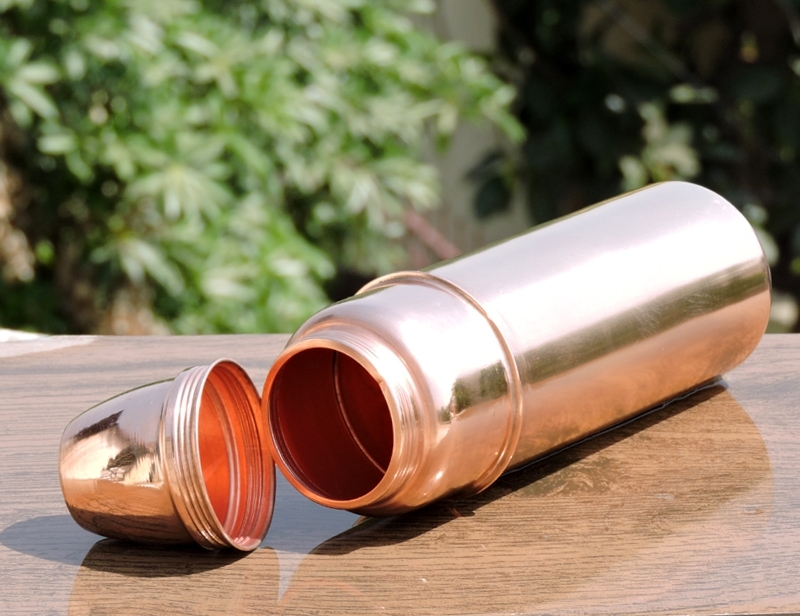 It is not hard to clean. 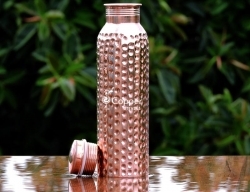 I use a copper cleaner and bottle brush and it stays beautiful. 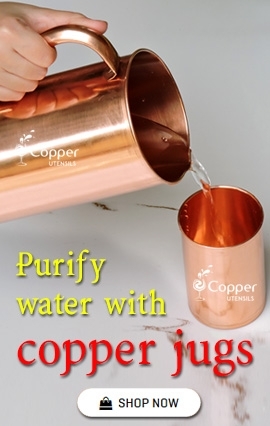 I am using it for the copper-infused water, hoping for pain relief and better health. 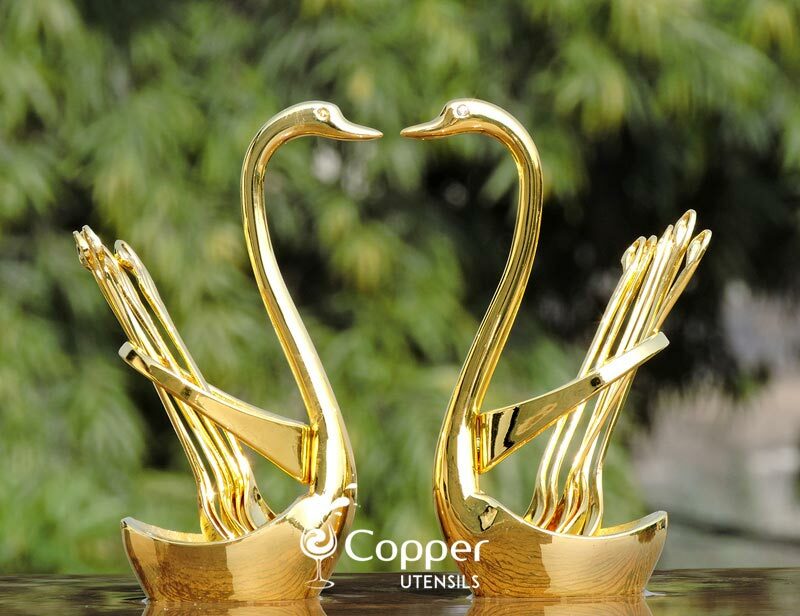 I bought it for my wife and she seems to be happy with it. 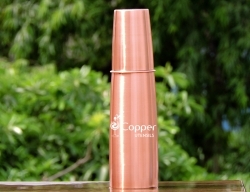 The bottle came as described and how no flaws. 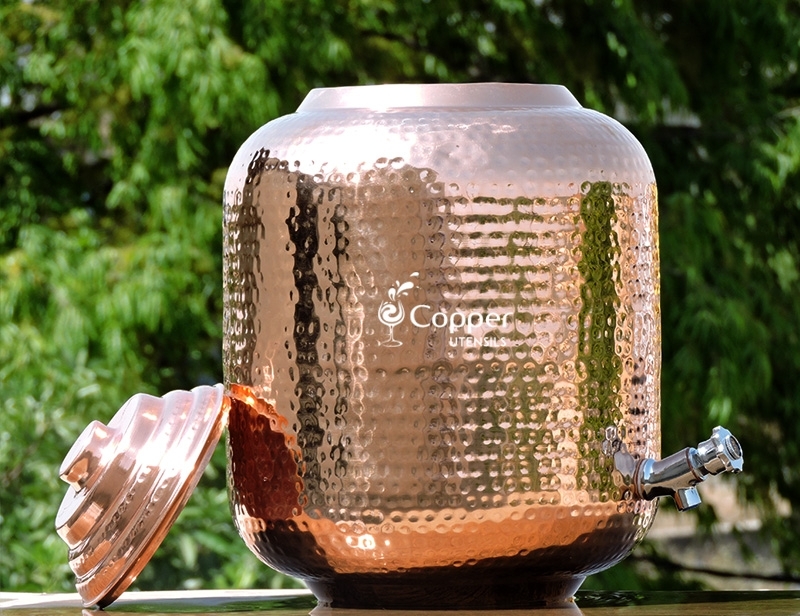 It iss pretty cool looking as well.